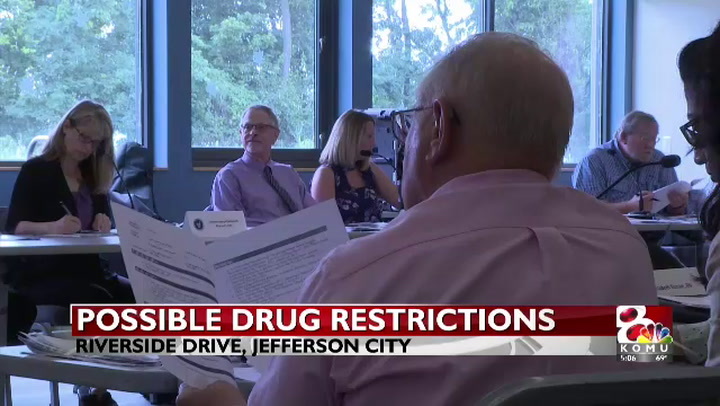 JEFFERSON CITY - Missouri mental health advocates showed up at a meeting Thurday to voice their concerns about budget cuts that would impact people with mental illness, specifically the medicine they take. A key issue at the Missouri Department of Social Services meeting was a planned vote on whether to restrict access to anti-psychotic medication for Medicaid patients. The Drug Authorization Committee decided to table the proposal. The possibility of restrictions alarmed community organizations like Missouri's National Alliance of Mental Illness. Executive Director Gena Terlizzi said, "We advocate for individuals with mental illness. This hearing today is a big part of that because access to medications is so important when we’re talking about individuals with mental illness." Terlizzi said the medication options for people with severe mental illnesses like schizophrenia, bipolar disorder and psychosis should not be decided by a committee. "They should not be restricted to certain medications, which is what we are talking about today," Terlizza said. "The decision about the best medication for an individual should be a decision that is made between that individual and their doctor." One mental health advocate said his personal journey with mental illness is the reason he wanted to share comments with the committee. Alan Stoutz was diagnosed with schizophrenia in 1978. He said having access to the right medication made a big difference in his life. "Without my medicine, I wouldn't be as functional as I am today. So it is very important to fund these people and get them the medication they need. Maybe then some of them can do like I do and get back to the community," he said. Terlizza said, even though the proposal was tabled, the issue remains, But, she said she is pleased with the decision. "They’ve taken a positive step today in saying we will not vote on this issue today and we will take a look at again," she said. "I do hope that they go back through that process, start at the beginning and follow the steps that are designed so that we save not just tax dollars but peoples lives."